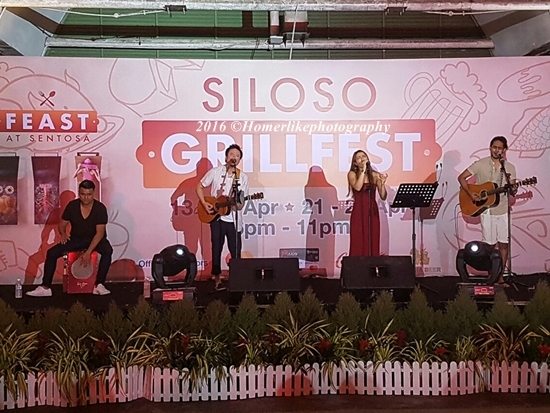 Despite the heavy downpour just before 6pm on 13th of April 2017 at Sentosa, it did not dampen the excitement to the inaugural beach barbeque festival, Siloso GrillFest. 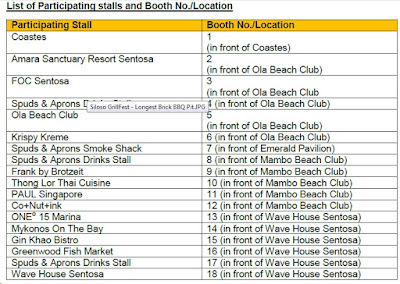 Organized along a 1-km stretch of the Sentosa's famous Siloso Beach over two weekends in April, on 13th - 16th April 2017 and 21st - 23rd April 2017, from 6pm till 11pm, Siloso GrillFest offers a spread of classic and contemporary BBQ creations, as well as international cuisine from various F&B operators from within and beyond Sentosa to satisfy the appetite of food lovers. One of the highlights of the inaugural beach barbeque festival is the BBQ pit, setup by Spuds & Aprons, measured approximately 4.9 meters long and 0.9 meters tall and made up of approximately 310 bricks joined together using cement. 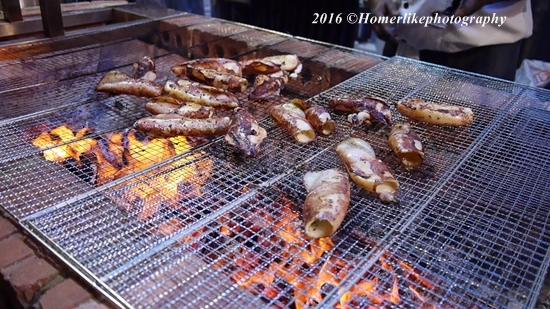 It has just been awarded Singapore’s Longest Brick BBQ Pit by the Singapore Book of Records just before the start of this one-of-a-kind beach food festival! 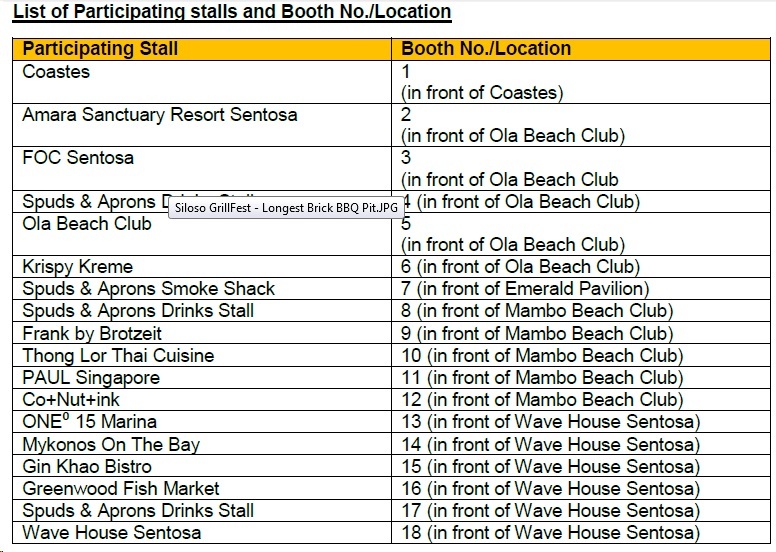 Guests can also look forward to various cuisines offered through the pop-up stalls of Amara Sanctuary Resort, Wave House Sentosa, as well as Ola Beach Club and FOC Sentosa – two of Sentosa’s latest F&B outlets. 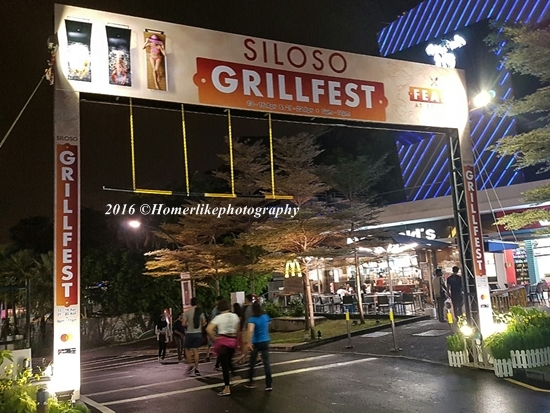 Avoid disappointment caused by long queues and "sold out" by going to Siloso GrillFest early. 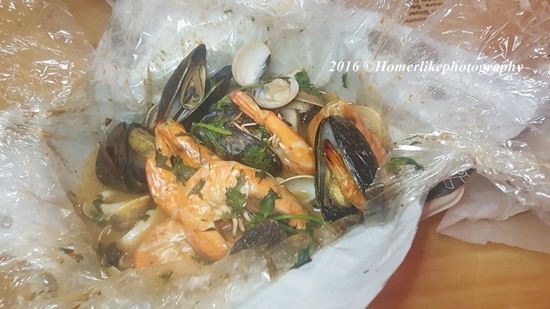 Huneybees are reminded to be there as early as possible as some of the crowd favourite dishes, such as the Gourmet Seafood Platter by Spuds & Aprons and the fresh Oysters by Greenwood Fish Markets or Ola Beach Club are expected to be sold out fast. 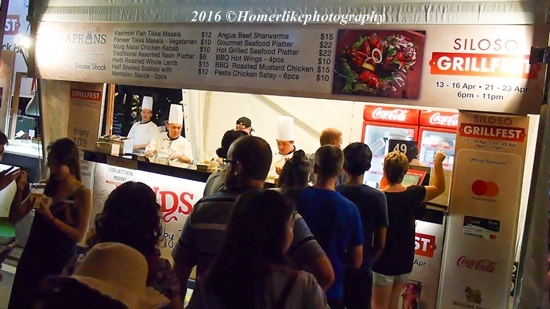 It was the case for us when we made a beeline to order just after 8pm on the first day of the festival. 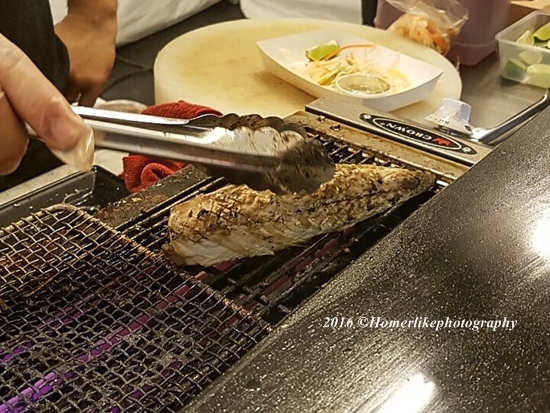 The Chef at Gin Khao Bistro pop-up stall #15 grilled the Spanish Mackerel to perfection! 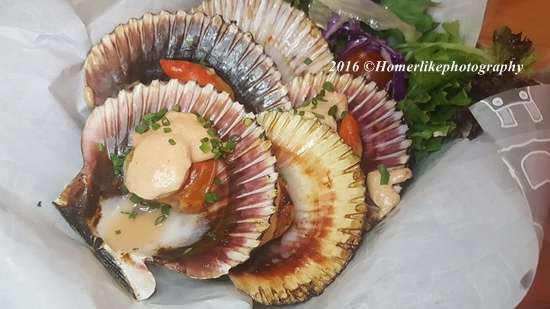 Also, do explore those pop-up stalls that are located further down the 1-km stretch of the Siloso GrillFest, such as the in front of the Wave House. 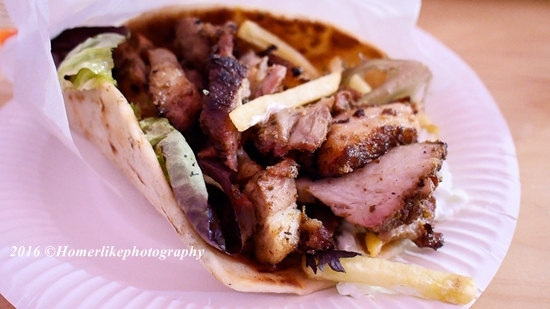 Over there you will find the pop-up stall operates by Gin Khao Bristo, where Thai food is reinvented and given a twist. 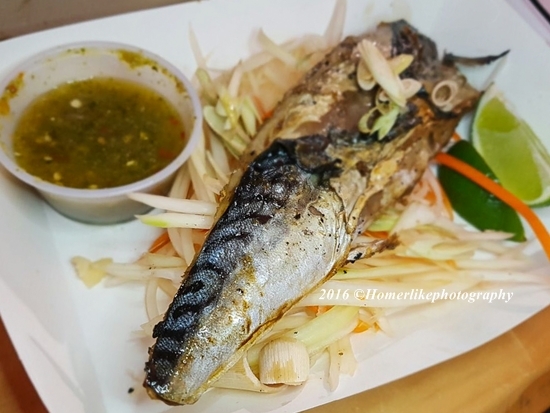 We really enjoyed the refreshing taste of the Grilled Mackerel Fish paired with its special green chilli sauce, which reminded us of our times back at Bangkok! Enjoy 10% discounts at many of the participating pop-up stalls when you charged the bill to your Mastercard and stand a chance for sure-win lucky draw too! 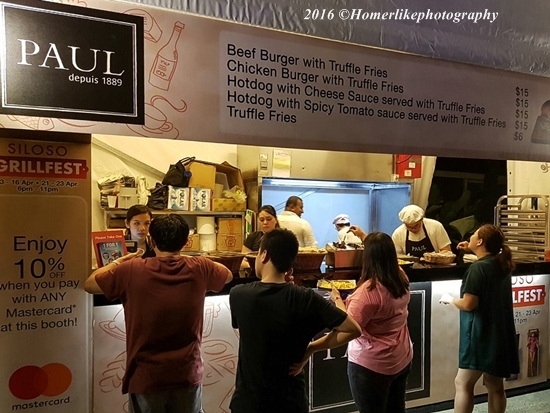 With the opportunity to feast along the beach, amidst a carnival-like setting under the stars and accompanied by Live music performances from local acts, that include Jack & Rai, The JumpStart and MUSE The Collective, plus discounts and sure-win lucky spin if you pay by Mastercard, what more can we ask for?